Sony's lead system architect on PlayStation 4, discussed its capabilities at length -- as well as debuting a PS4 game called Knackthat he's directing alongside Sony's Japan Studio. "My role on the next generation development started about five years ago," Cerny said, detailing how Sony has been polling developers about the features since that time. The result? A "deeply consumer focused and developer centric approach to the design," per Cerny. In a complete U-turn from the custom Cell processor in the PlayStation 3, the PlayStation 4 will feature Intel X86-based architecture for a familiar developer experience. "It's like a PC in many ways, but supercharged to bring out its full potential as a gaming platform," said Cerny. The system has an unspecified GPU and a hard drive as well. The system will feature 8GB of RAM, a dedicated processor to manage the upload and download process -- allowing players to play games immediately as they download them. The console also offers the ability to suspend and resume games instantly, doing away with traditional save games, Cerny said. 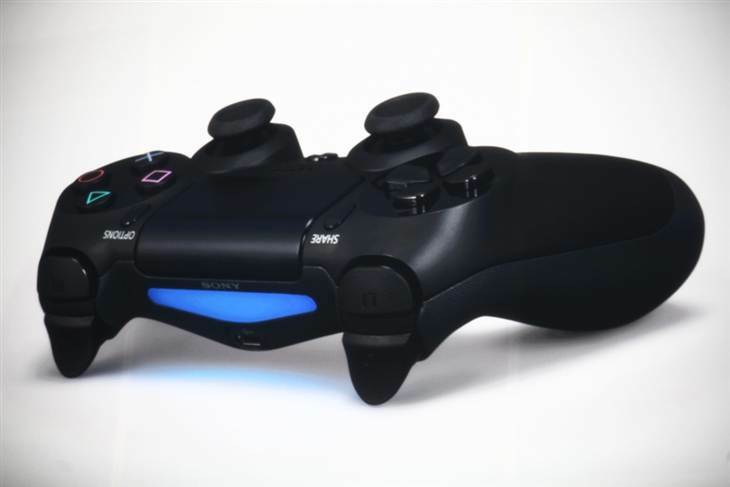 Finally, the DualShock 4 controller -- a refined version of the prototype leaked on the web this week -- will feature Sony's familiar suite of sticks and buttons, as well as a touchpad, a "share button" that allows players to share gameplay video, and full PlayStation Move-like motion tracking capabilities for the stock controller using colored LEDs on its back, paired with a stereoscopic camera. Cerny talked about the company's social vision for the console -- the new iteration of the PlayStation Network will be moving to a real identity system, similar to Facebook, though anonymity will be retained in some games. Players will be able to see what their friends are playing via a video stream and even "take over the controller and assist them," Cerny said. The system will also track your likes and dislikes and automatically grab content based on your preferences, Cerny said. The system's social functions will also work with the PlayStation Vita, smartphones, and tablets via "companion applications," as well as the web. The conference is still ongoing in New York City, and specifics such as the price and the hardware design have yet to be unveiled. Gamasutra's reporting on the PlayStation 4 announcement will continue throughout this evening. UPDATE: Here are additional specs, straight from Sony. The HTC Hero and the HTC Legend are all famous for one thing: having memorable chins. Following on from 2010’s highly rated HTC Legend is the HTC One V, which, unlike its predecessors, is a mid-tier Android 4.0-powered handset. HTC unveiled the One V alongside its two new flagship handsets, the HTC One S and HTC One X, at MWC 2012. All three devices were generally very well received following Peter Chou’s keynote but the higher specced HTC One S and HTC One X did steal the show for obvious reasons. So while the HTC One V is most definitely bringing it up the rear when compared to the likes of the HTC One X and the Huawei Ascend D-Quad, it is still a thoroughly decent proposition – especially for users that want to spend slightly less cash on their phone. Build quality on the One V is excellent featuring HTC’s ‘award winning curved-chin design’ as well as the company’s now-standard metallic unibody. Our handset was finished in matte black and looked every bit the premium-grade device. We also really like the curved-chin design of the One V, although it’s obvious from some of the reactions to it in the office that it’s a feature that will divide opinion – HTC is no doubt fully prepared for this though. When we first saw HTC’s new trio of handsets at MWC 2012 one of the first things that immediately struck us about them was just how good the displays were. Thankfully the One V’s 3.7-inch 480x800 resolution Super LCD 2 display is no exception to this rule with its crystal clear visuals, wide viewing angles and awesome colour representation. The difference between 2011’s Super LCD and 2012’s Super LCD 2 panels is dramatic to say the least. Of course it’s not quite up there with the One X and iPhone 4S’ of the world but it’s certainly better than 99.9 per cent of handsets in its class. The One V cuts a svelte figure at 120.3x59.7x9.2mm and weighs in at just 115g. The display, as we mentioned earlier, is 3.7-inches making it quite a rarity amongst the current norm of super-sized handsets in the Android community a la the Galaxy Nexus, One X and Galaxy Note. Powering the One V is 1GHz CPU and Adreno GPU based on Qualcomm MSM8255 Snapdragon chipset alongside 512MB of RAM and 4GB of storage. Now that might read like hardware from 2010 but trust us it sure as hell doesn’t feel like hardware from two years ago. Everything flies on the One V – whether it’s flicking through homescreens, opening applications or playing games like Angry Birds. HTC achieved this not by witchcraft but by making some rather crafty omissions from the handset’s Sense UI. The vast majority of these omissions relate to animation – there’s no 3D tomfoolery to be had on the One V and you’ve only got 5 homescreens to play with (not seven like on the One X). Couple these outtakes with already plentiful refinements HTC has made to its Sense UI and you’ve got a much subtler UI on your hands, and this is definitely a good thing. The camera set-up on the One V, like its predecessor’s, is very impressive. HTC was keen to laud just how good the imagining capabilities were on its ‘One’ brand handsets – and rightly so too. The One V features a 5-megapixel (f/2.0 lens) camera and will shoot video in 720p quality. HTC has also included the vast majority of software features from its One X and One S handsets aboard the One V such as the ability to simultaneously shooting video and taking photos, as well as Burst Mode and a ton of effects. All told: you’ll struggle to find a better camera at this price point. Video isn’t quite as good, unfortunately, but it’s still a hell of a lot better than some of the One V’s competition so it’s difficult to be too harsh. Wi-Fi b/g/n, Bluetooth 4.0, HSDPA, EDGE and GPRS are all supported – as you’d expect – and there’s a pretty sizable Li-Ion 1500 mAh battery aboard too, which delivers some pretty impressive usage – we eked a couple of days out of the One V with moderate usage. All in all we like this device very much. Granted it’s not the best smartphone on the planet and it’s no way near as good as its bigger brothers, the HTC One S and HTC One X, lacking both the spec, grandeur and software that is present on both. But you still get plenty of bang for your buck, including 25GB of Dropbox, Beats Audio Technology and Android 4.0. And you get all this for just over £200 – talk about value for money. HTC has well and truly got its groove back. Troubled country star Mindy McCready has died at the age of 37, the victim of an apparent suicide. Arkansas’ Cleburne County Sheriff’s Office posted this report: “At 3:31 PM, Sunday, February 17th Deputies from the Cleburne County Sheriff’s Office were dispatched to a report of gun shots fired in the area of 1132 Fox Chase Drive in Heber Springs. Born in Fort Myers, Florida, her 1996 debut “Ten Thousand Angels” was a double-platinum success, but her popularity on the music chart steadily declined in the years that followed. Her personal life was marred by a series of legal difficulties including pleading guilty for using a fake prescription to buy OxyContin in 2004, violating her probation on another charge in 2008, and a high-profile custody dispute involving her young son in 2011. Country star Jason Aldean’s account tweeted this message of mourning tonight: “Just heard about Mindy McCready. My thoughts and prayers are with her 2 boys and her family. Carrie Underwood’s account tweeted “I grew up listening to Mindy McCready…so sad for her family tonight. Many prayers are going out to them. I am so sad to see a young life goes this way. Moscow: A meteor shower has rained down on central Russia, sowing panic as hurtling space debris exploded in the air, blew out windows and injured dozens of people. Urals region, sending a shock wave that shattered windows. 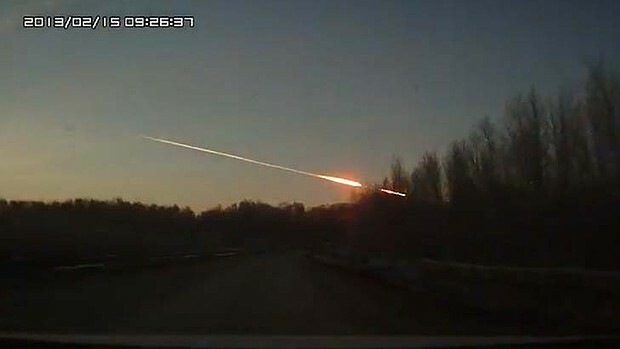 "A meteorite (sic) disintegrated above the Urals, partially burning up in the lower atmosphere," the local office of the national emergencies ministry said in a statement. Burning streaks lit up the sky, caught by drivers on dashboard cameras and posted on YouTube. More than 100 people have reported injuries, mostly from broken glass, Vadim Kolesnik, a ministry official, said by phone. None were serious or required hospitalisation, according to the ministry. Russia’s public health chief Gennady Onishchenko closed schools in the Chelyabinsk region, Interfax said. As many as 20,000 emergency staff and three aircraft have been deployed in the Urals region, the ministry said. 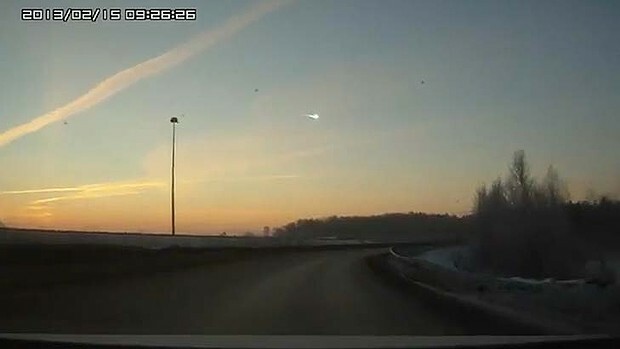 ‘‘No further pieces of the meteor are expected to fall,’’ according to the ministry’s statement. 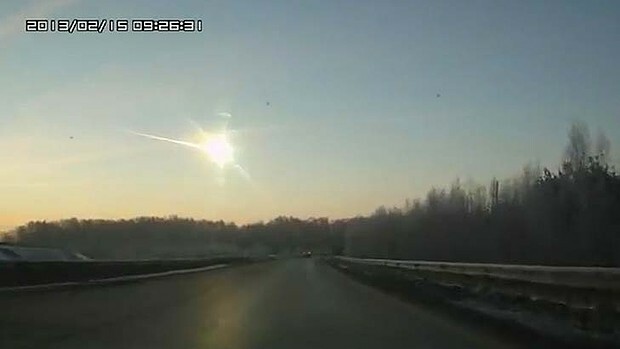 Reuters reported that a powerful blast had rocked the Urals region with bright objects falling from the sky. "It was definitely not a plane," an emergency official said. VATICAN CITY (AP) -- Pope Benedict XVI announced Monday he would resign February 28 because he is simply too old to carry on. Following is the text of his announcement, delivered to cardinals gathered for a ceremony to name three new saints. However, in today's world, subject to so many rapid changes and shaken by questions of deep relevance for the life of faith, in order to govern the barque of Saint Peter and proclaim the Gospel, both strength of mind and body are necessary, strength which in the last few months, has deteriorated in me to the extent that I have had to recognise my incapacity to adequately fulfill the ministry entrusted to me. With regard to myself, I wish to also devotedly serve the Holy Church of God in the future through a life dedicated to prayer." A deadly blizzard of epic proportions is pounding the Northeast, bringing more than 3 feet of snow to some areas and cutting power to 650,000 homes and businesses. More than 3 feet has fallen on central Connecticut, and areas of southeastern Massachusetts, Rhode Island and New Hampshire notched 2 feet or more of snow - with more falling. The storm is being blamed on at least six deaths, three in Canada and three in the USA. In New York, a 74-year-old man died after being struck by a car in Poughkeepsie; the driver said she lost control in the snowy conditions, police said. Another New Yorker died when the tractor he was using to plow his driveway ran off the edge of the road. Hurricane-force wind gusts are sweeping the Northeast. Winds gusted to 76 mph at Logan airport and 82 mph in Westport, Conn. Blizzard warnings were posted from parts of New Jersey to Maine. More than 6,300 flights in North America have been canceled through 11 a.m. Saturday, according to flight-tracking service FlightStats. Hundreds of motorists, and even snowplows and rescue workers have been stranded. In the shoreline community of Fairfield, Conn., police and firefighters could not come in to work, so the overnight shift was staying on duty, said First Selectman Michael Tetreau. And several state police cars were reported stuck in deep snow in Maine, where stranded drivers were warned to expect long waits for tow trucks. In the New York City area, John F. Kennedy Airport, LaGuardia Airport and Newark Airport were open as of 7 a.m. Saturday, according to the Port Authority of New York and New Jersey. Some commercial flights were expected to resume as early as 9 a.m., but carriers have canceled many flights. Travelers were urged to call ahead and check with their carriers for specific flight information. Acela train express service between New York City and Boston remained shut down Saturday, Amtrak reported. Southbound Northeast Regional service from Boston was expected to resume on a limited schedule at 11:40 a.m. Northbound Northeast Regional service from Penn Station in New York City was also expected to resume limited service as of 11:30 a.m., Amtrak reported. While the blizzard, dubbed "Nemo" by the Weather Channel, the blizzard has ended in New York City, heavy snow and strong wind gusts are expected to continue across much of New England through midday, before tapering off from west to east through the afternoon, according to the National Weather Service. Blizzard warnings are scheduled to expire at 1 p.m. in Boston, Providence, and Worcester, and at 4 p.m. in coastal Maine. Snow will taper off completely by late afternoon, said meteorologist Chris Dolce of the Weather Channel. Temperatures will hover in the teens in northern New England and in the 20s in southern New England today, and rise into the 30s Sunday, according to AccuWeather. Nemo is now officially the sixth-greatest in Boston history, according to the National Weather Service. An official snow total from Boston's Logan Airport this morning registered 21.8 inches, which puts it in sixth place on the all-time list. Snow is still falling in Boston, so that number is likely to go up. The record snowfall in Boston is 27.5 from Feb. 17-18, 2003. The storm brought a record snowfall of 29.3 inches to Portland, Maine, breaking the previous high of 27.1 inches from Jan. 17-18, 1979. New Haven, Conn., has already seen 29.8 inches of snow and 34 inches were dumped on Hamden, Conn., according to the National Weather Service. The blizzard dumped a preliminary total of 30.3 inches at the National Weather Service office in Upton, N.Y., on eastern Long Island. "We may be in the top 10 (largest snowfalls in recent history) for Suffolk County, and maybe in the top five," said David Stark, a meteorologist working at the Upton office Saturday morning. The highest snowfall total from the storm so far is in Milford, Conn., which has received 38 inches. A State Department security officer in the United States has pleaded guilty to accepting two luxury watches in exchange for helping a Jamaican musician gain a visa to enter the US. A media release issued on Wednesday by the United States Attorney's Office for the Eastern District of Virginia said 32-year-old David J. Rainsberger pleaded guilty on Wednesday in federal court in Alexandria to receiving unlawful gratuities while stationed at the US Embassy in Kingston, Jamaica, and making false statements to the United States government on a national security questionnaire required to maintain his security clearance. Rainsberger faces a maximum penalty of two years in prison on the gratuities charge and five years in prison on the false statements charge when he will be sentenced on April 19. According to court records, Rainsberger served as an assistant regional security officer for investigations at the US Embassy in Kingston from 2009 to 2011. The media release said that while stationed in Kingston, Rainsberger befriended the well-known Jamaican musician whose entry to the US had been barred because of allegations of criminal conduct. "Rainsberger's investigation of this individual resulted in the reinstatement of his visa, which allowed the individual to travel to the US to take advantage of performance and recording opportunities. On account of the assistance Rainsberger provided him with respect to his US visa, the musician purchased for Rainsberger two luxury watches worth approximately US$2,500," the attorney's office said. The release added that "in addition, Rainsberger received free admission to nightclubs, backstage access to concerts, and a birthday party hosted by the musician." The attorney's office said Rainsberger, who was already married, became engaged to a Jamaican national and intentionally withheld disclosure of the relationship from the US government on Office of Personnel Management Standard Form 86, a national security questionnaire that requires disclosure of close and continuing contact with foreign nationals. "Rainsberger also repeatedly accessed, without authority, Department of State visa and passport databases for personal purposes," the attorney's office said.